Does My Pet Really Need Flea & Tick Medication? Fleas and ticks often emerge in great numbers when the temperature rises. Often seen in spring through fall, these pests can also make themselves comfortable in your home during winter months if they manage to hitch a ride inside. These pests are more than an annoyance to pets and their owners. Untreated, they can lead to serious illness and make your house all but uninhabitable. 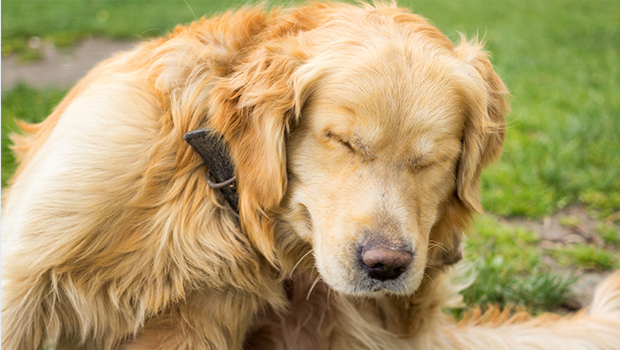 "Fleas and ticks are dangerous to the health of pets," says Jill Lopez, DVM. "For that reason, flea and tick protection is essential for all dogs and cats that live with you." Fleas are small insects that your pet can pick up just by taking a walk outside. Even indoor pets are susceptible, if a flea decides to hitch a ride on your socks and shoes. These little vampires feed on blood, which makes dogs and cats as appealing to them as filet mignon. After they burrow into your pet's fur and have their fill of your pet's blood, they excrete undigested blood in the form of little dark brown flecks of flea dirt that can be found in your pets' skin and fur. Then they're in the mood to mate. The females lay eggs, which fall off your pet and into your home and yard. One of the first signs of fleas on a dog or cat can be persistent itching. If you have a light-colored pet or one with a belly without a lot of fur, check it for very small flat brown insects and little brown flecks. Scrape a couple of those brown flecks onto a paper towel, add a few drops of water and smear them. If the result causes red dots or smears on the paper towel, your pet has fleas. Signs of a severe flea infestation include bumps, a rash, raw red wet areas, hair loss around the base of the tail and an unpleasant odor. Ticks hang out in grass, bushes, and leaves and then hitch a ride on the nearest warm body, either human or animal. Ticks are bloodsuckers like fleas and they can transmit serious diseases when they bite. It's not easy to tell at first if a tick has bitten you or your pet. When one latches on, it spits out a local anesthetic so the victim doesn't feel it. Ticks have eight legs and initially start off head-of-a-pin small, so they're particularly hard to find on dogs and cats with thick fur. As they feed, their belly expands and becomes engorged with blood. Your veterinarian can show you the best way to remove a tick. A dog overrun with ticks can become anemic. Ticks can cause serious disease and some specific tick species can cause Lyme disease, and others can infest your home with thousands of them. Spring and summer aren't the only seasons when fleas and ticks are active. The warmth of a heated home can serve as a breeding ground for fleas and some types of ticks. Fleas and ticks can also stay warm on wild animals outside in your yard so the problem of fleas and ticks should be a year round concern. 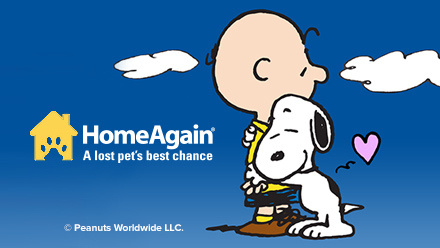 So it's vital to use products year-round – even if your pet never leaves the house. Pet parents can actually be carriers by unwittingly bringing pests in on their clothing or shoes. Once inside, fleas and ticks enjoy the warmth and begin looking for a new host to feed on, like your dog or cat, or even you! Bravecto® (fluralaner) Chews for Dogs, which delivers protection against fleas and ticks in a flavored dog chew for up to 12 weeks*. Bravecto® (fluralaner) Topical Solution for Dogs, which also delivers up to 12 weeks* of protection against fleas and ticks but in a topical formula which is applied on the dog's skin. Bravecto® (fluralaner) Topical Solution for Cats, which delivers up to 12 weeks* of protection against fleas and ticks but in a topical formula which is applied on the cat's skin. Activyl® for Cats and Kittens delivers monthly flea control. Safe to apply once a kitten is older than 8 weeks and weighs more than 2 pounds. Activyl® for Dogs and Puppies, which provides month-long flea control when applied topically. Activyl® Protector Band, long-lasting collar that protects dogs from fleas and ticks. Using a fresh one every six months provides year-round protection. 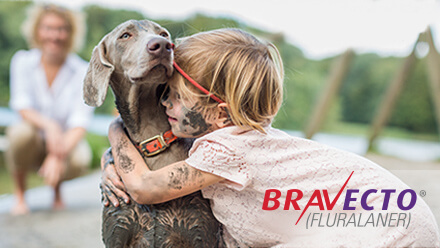 * Bravecto kills fleas and prevents flea infestations for 12 weeks. Bravecto Chew and Bravecto Topical Solution for Dogs kills ticks (black-legged tick, American dog tick, and brown dog tick) for 12 weeks and also kills lone star ticks for 8 weeks. Bravecto Topical Solution for Cats kills ticks (black-legged tick) for 12 weeks and American dog ticks for 8 weeks. Bravecto is for dogs and cats 6 months of age or older. Bravecto Chew and Bravecto Topical Solution for Dogs is approved for pregnant, breeding and lactating dogs. Bravecto Chew: Side effects may include vomiting, decreased appetite, diarrhea, lethargy, excessive thirst and flatulence. Bravecto Topical for Dogs: Side effects may include vomiting, hair loss, diarrhea, lethargy, decreased appetite, and moist dermatitis/rash. Bravecto Topical for Cats: Side effects may include vomiting, itching, diarrhea, hair loss, decreased appetite, lethargy, and scabs/ulcerated lesions. 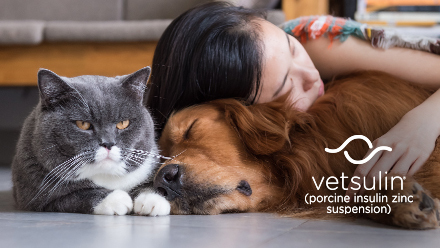 Vetsulin® (porcine insulin zinc suspension).